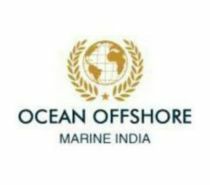 Ocean Offshore Marine India ((D.G. SHIPPING, GOVT. OF INDIA MINISTRY OF SHIPPING COURSES ) ( ISO 9001:2015 Certified ) Trains the budding Merchant Navy sailors and the promising Offshore professionals in a way not imagined by even the best minds of the world. We challenge the human imagination and redefine the parameters. Where there is no space for the courses, we provide such equipment as can not only impart knowledge but also foster the ability to know. Needless to say, the courses are conducted by the best trained and the most qualified faculty, with a glorious past of working in the industry. The Ocean Offshore Marine India uses the latest equipment. We are the best institute to offer the offshore courses Now In India. We offer all types of courses related to the offshore Industry. I Remain At Your Service For Further Assistance​.